When building the perfect dining room, you need to start with the biggest piece of furniture, and unless you have a seriously incredible chandelier, that piece is going to be your table. 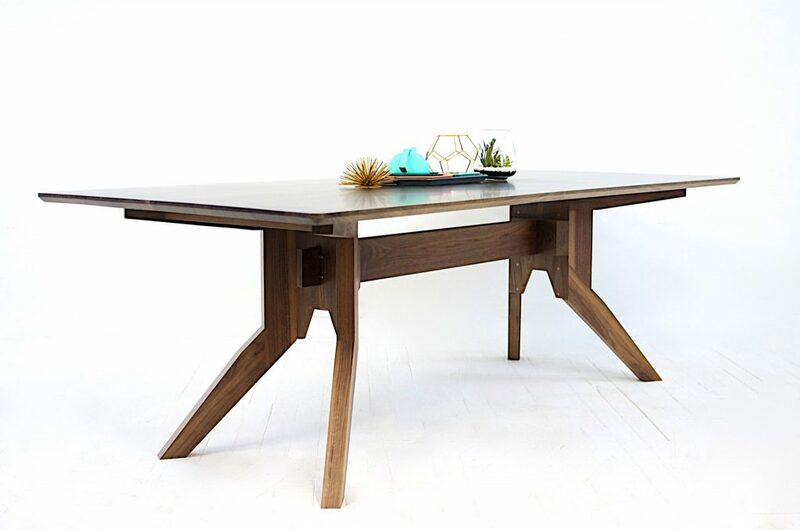 If you’re looking to serve a lot of people, maximize your space (and elbow room) with a rectangular table, such as The Zoe. You can’t have a dinner without a place to sit, so invest in a beautiful set of chairs. There are countless designs to choose from, but wood-framed chairs create the best formal atmosphere in your mid mod dining room. 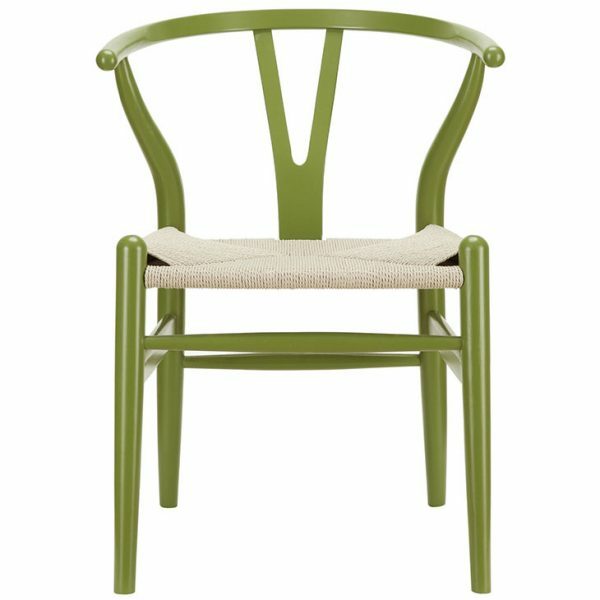 If you want the fun of plastic, molded chairs but the class of wood frames, try the unique colors of the Amish Dining Wood Armchair. A beautiful chandelier can give your dining room a sense of midcentury drama and formality. 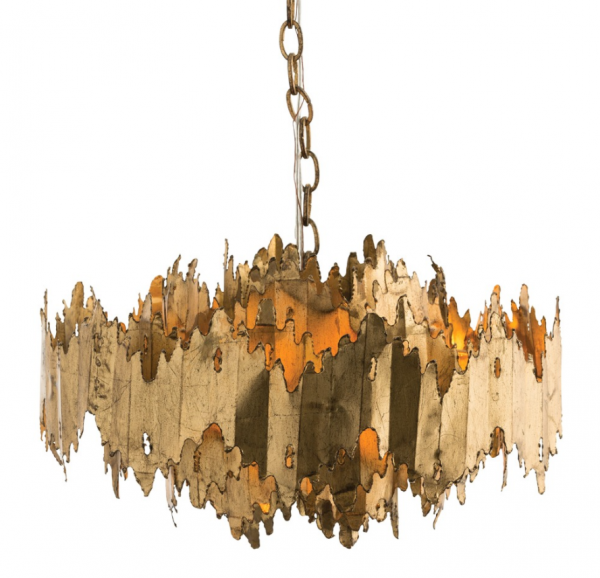 Nothing is wrong with the playful sputnik, but lately, we’ve been into the organic wow-factor of Brutalist chandeliers, like the Payne Chandelier. If you need more light than what a single chandelier can offer, several well-placed sconces can really brighten the space up. 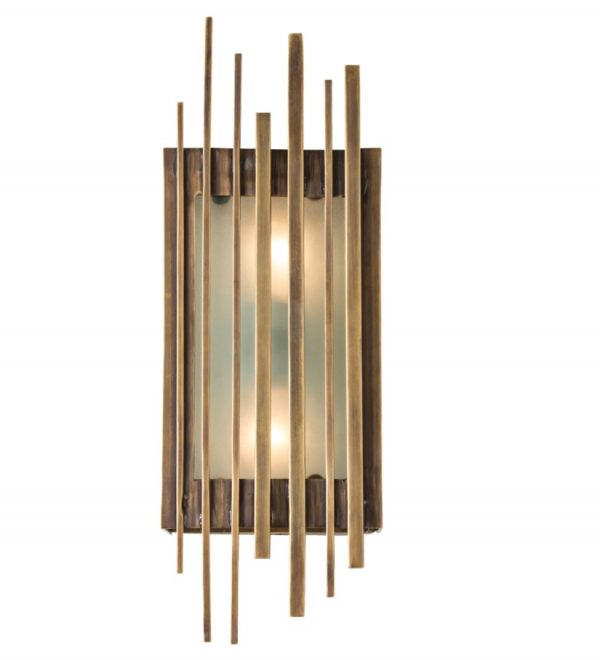 The vertical bars of this Stillman Sconce have a classed-up tiki feel to them and will add just the right amount of glow without stealing your chandelier’s thunder. Whether it’s just for storing your rare Vernonware or serving up a buffet, a sideboard or credenza can give your dining room a lot of versatility. 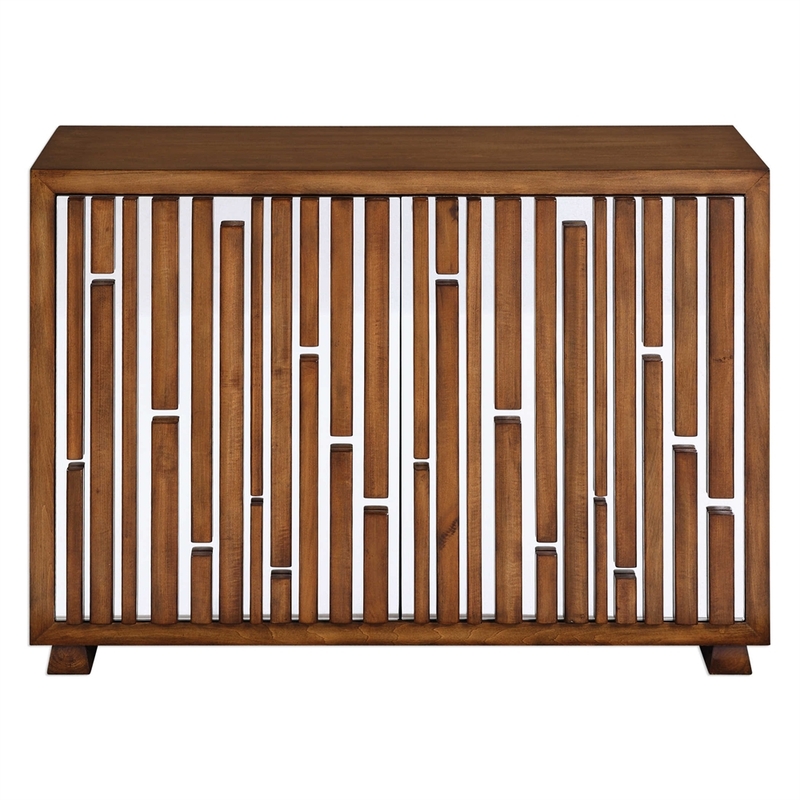 We love the wood and shine of the Eileen Console Cabinet (and it keeps with our vertical line theme!). When it comes to protecting your original wood floors or just balancing out the space, nothing works better than a great area rug. 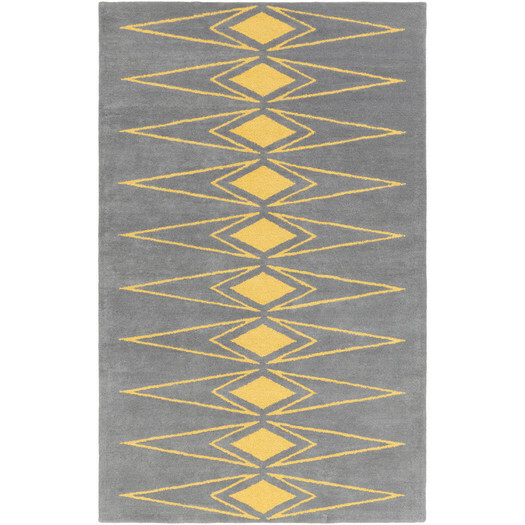 We love uncomplicated, repeating patterns in semi-neutral tones—like this Bobby Berk Hand-Tufted Gray Yellow Rug—to ensure that your fine mid mod dining room furniture wont be overwhelmed! 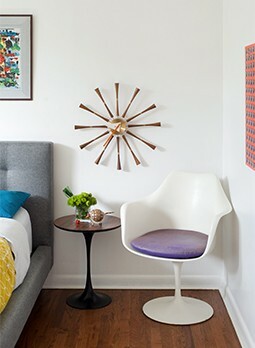 Finally, the right piece of art can be a great conversation starter, so don’t neglect your walls. 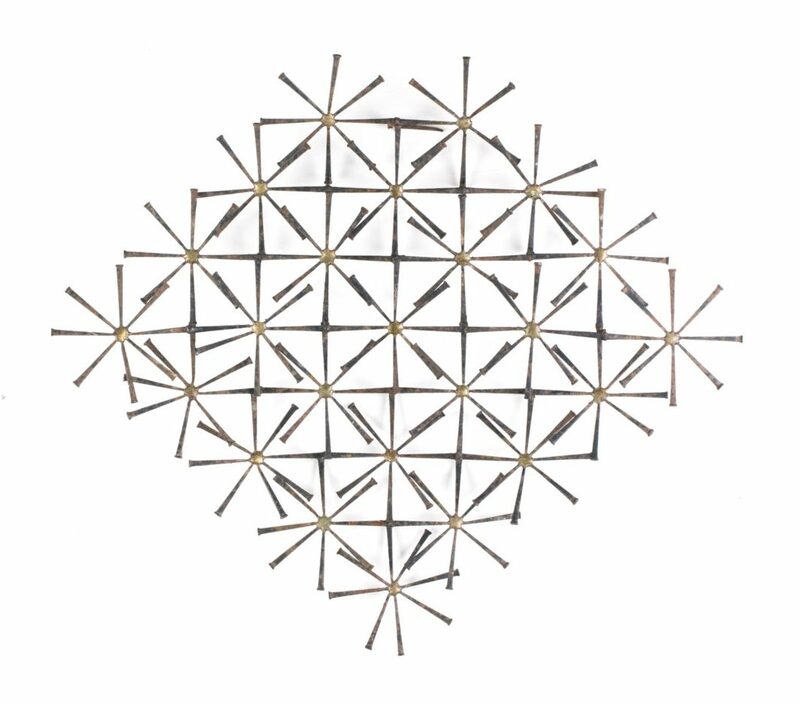 If you’re feeling the Brutalist theme as much as we are, go for this original 1960s Iron Nail Sculpture, which has enough negative space to keep your art from upstaging your other pieces.